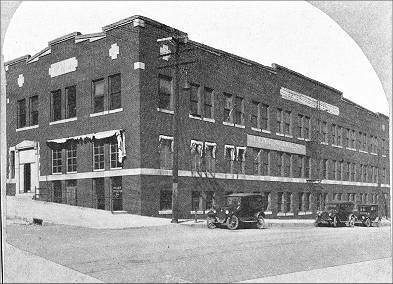 With the exception of a short period in 1905, the Pelletier store has served Sioux City and the territory for 42 years. Its service was temporarily interrupted in January, 1905, when several business blocks in Sioux City were razed to the ground by a disastrous fire. In October of that year it was re-established at the present location on Pierce street. 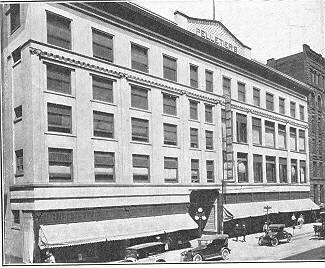 F. M. Pelletier was the founder and is still active head of the institution after watching it grow from a small dry goods house to a giant department store. 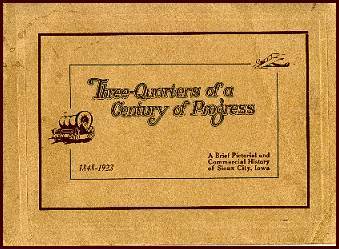 The business grew so rapidly that another store was opened in Topeka, Kansas, in 1915, to give a stronger buying power in the world's markets. The company has unusually strong buying connections in New York and Paris. With these they have built up strong departments in many lines. Over 450 people are employed in the store in order to give service to the public. All lines that are handled by a department store in addition to such nationally known lines as Knabe and Kurtzman pianos, Cheney phonographs, Denyvale linens, Cantilever shoes, Phoenix hosiery, Fashion Park clothes and others are handled. Each department in this store is a store within the store. The home furnishing department itself covers over 61,000 square feet of floor space. In it is everything for the home from carpets and draperies to pianos and phonographs. The men's furnishing department is complete in itself and is housed in a department apart from the main store, being separated by an alley. This gives the business man a chance to find what he wants and get out in a hurry. Men do not shop, they merely buy what they want. This accounts for the location of the men's department. The Pelletier Company covers a trade territory that would do justice to many wholesale houses. They receive mail orders almost daily from as far as 500 miles to the west from the heart of the Black Hills. To the south they go 50 miles, north 150 miles and east 100 miles. A separate department handles these mail orders and give quick service in filling them. Besides Mr. Pelletier, who is president, the other officers are W. J. Hayward, vice president, and H. F. Norris, secretary and treasurer. All are active in Chamber of Commerce and civic affairs, giving their share to the progress of Sioux City and its trade territory. Since 1912 the name of Coomer & Small in the building industry has meant high grade buildings. The amount of work they do varies with the year and the season, but within the last ten years they have built some of the best and most modern buildings of the city, including Main Hall Gymnasium and Conservatory of Music at Morningside College, Dormitory and Gymnasium at Trinity College, Elks Club, Princess Theater, Riverview School, Chesterman Company building, General Manufacturing Company plant, Whitfield M. E. Church, Rustin Avenue M. E. Church, Danish Lutheran Church, Swedish Mission Church and Parochial Schools for Immaculate Conception Parish and Parish of the Blessed Sacrament. Ross M. Coomer and Chas. I. Small were the partners in this organization until 1917, at which time the business was incorporated. Mr. Coomer is a member of the American Society of Civil Engineers and an engineer of wide reputation in this part of the state. 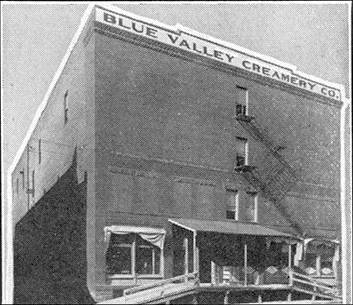 The Blue Valley Creamery Co., with 21 large butter making plants in this country, selected Sioux City as the site for a plant in 1907. Since that time it has become recognized as the plant in the chain that produces the best butter. Thirty-five people are employed during the fall and winter. This is increased to 60 or more during the busy spring and summer season. Cream is purchased direct from the farmers in Iowa. South Dakota and Nebraska, and occasionally from Wyoming. No receiving stations are operated by this company who maintain that they prefer to give the margin of profit to the producer than to the middleman. Another advantage of this method of obtaining cream is that it enables the plant to better grade the cream and keep the quality uniform. The butter bearing the Blue Valley label is sold in quarter, half and one-pound packages. The Sioux City branch of the Western Newspaper Union, a company with branch houses from Boston to Los Angeles and from Minneapolis to Houston, was established in 1882. The small plsnt was located in a building on the site where now stands the Union Station. In 1890, it moved into a new building on Pearl street, in 1900 to Douglas street, near the Journal, and in 1912 to the present location in a large building built for this purpose at Fifth and Virginia streets. The company prepares and sells newspaper service in plates and printed. sheets, jobs and deals in printer's machinery, furniture, type and material, paper stock and all other needs of the printer, large or small. The capital runs into millions of dollars with several times as much annual sales. The local plant employs 30 people and serves hundreds of newspapers. Parts of Iowa, Nebraska, South Dakota. and southern Minnesota are covered from Sioux City. For over 32 years W. H. Rogers, known to every newspaper man in many states, has been in charge of the local plant, resigning on account of sickness in the fall of this year. A. A. Sorenson is now manager of the Sioux City branch. Many an editor has come many miles to Sioux City to seek the advice of a man who has seen more newspaper men come and go than are now in the business. The Sioux City Service Co. is the present operators of the street railways in Sioux City and South Sioux City. The old Sioux City Street Railway Co. was organized December 6, 1883. They constructed a line from West Seventh and Panoah streets to Fourth and Court streets, a distance of about two miles. The first car, drawn by a Missouri mule, was run on July 4, 1884. The line was extended from time to time until it was 15 miles long, but still operated by horses and mules. In April, 1890, the lines of the company were electrified and Sioux City had one of the first electric railways in the United States. Many improvements were made at this time which were responsible for the development of outlaying sections of Sioux City. The Sioux City Traction Company was organized May 25, 1895, and operated the properties formerly held by the Sioux City Street Railway Company. Later, in 1899, it acquired the holdings of all other street railway companies in the city andoperated them as one company until April, 1909, when the Sioux City Service Company acquired the entire holdings of this company. These consolidated lines then became one large company covering the entire city. 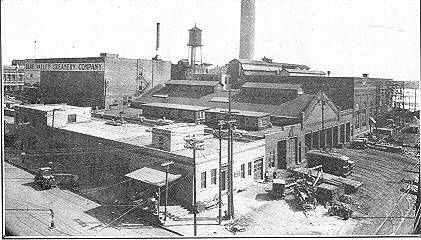 The Service Company had been organized in June, 1905, and had acquired a franchise granting right to construct and operate electric and steam heating plants. The street railways were an addition to their business, but they still continue the heat and electric service. The company now has a total of over 56 miles of street car lines upon which 103 passenger cars are operated. The entire city is covered with car lines including the outlaying districts of Morningside, Leeds and Riverside. Only one line runs out of the city and out of the state. This is the line which crosses the Missouri river in South Sioux City, Nebraska. One cannot examine the Warnock building, one of Sioux City's most modern buildings, without wondering who built it. 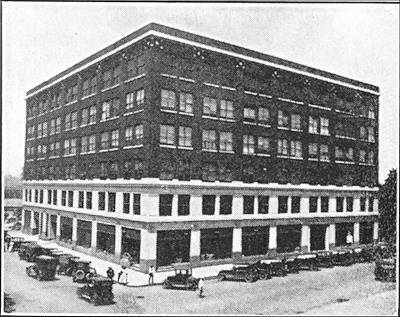 This building was the first work of W. A. Klinger, constructing engineer, in Sioux City. It was designed and constructed under personal direction of Mr. Klinger. His work since he has been here has consisted of everything from small homes to business blocks, and has included industrial plants, bridge work, appraising and fire loss estimating. His most spectacular work was that of sinking caissions to a depth of 58 feet below water level in the Missouri river for the erection of the new approaches on the Nebraska side. THE demand for an adequate commercial art service in Siux City was satisfied when the Pioneer Art Studio was established in 1921, by Carl J. Listman. Show card writing and commercial drawing is done exclusively by this organization. Mr. Listman came to Sioux City with a number of years of experience behind him and has been giving service to the large retail stores in show card writing. Another important service are the posters especially prepared to order for the theater. Nearly everyone in Sioux City is familiar with the beautifully hand lettered and decorated posters seen daily at some of the show houses. Leter heads, trade marks, cartoons and designs of all kinds are made for newspapers and advertisers. BYRON E. BROWN PIANO CO. 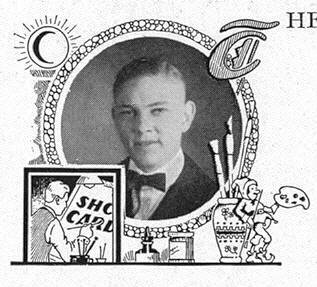 Since 1905 the name of Byron E. Brown has been known to piano owners and prospective owners in Sioux City. At that time Mr. Brown opened a small business repairing, tuning and renting pianos. Continuous growth has enabled him to build up a business and add to his line. Three people besides the manager are employed selling pianos, pipe organs, phonographs and electric pianos for homes, and tuning and renting the same class of instruments. Although a local business in the beginning, a territory is now covered embracing parts of Iowa, South Dakota and Nebraska. Sonora phonographs, Adam Schaaf pianos, Wissner pianos, Estey pipe and reed organs, and other fine makes of instruments are distributed by this concern. Mr. Brown, who is known as a piano and musical instrument expert in Sioux City, has demonstrated what can be done with a small business in a live city with a good territory surrounding it. Knowledge of the goods he sells is the secret of the success which Mr. Brown has met in Sioux City. He will never accept the agency or distribution of any machine or instrument until he himself is satisfied as to good value and quality combined with durability, also the price must be right. These things have enabled him to see that all his sales give satisfaction to those who purchase.